If you’re in Harrisonburg, Staunton, Charlottesville, VA or the surrounding areas, we’re the Nissan dealer for you. Shop our 2019 Nissan Altima Inventory today! The All-New 2019 Nissan comes equipped with several standard and available features not offered on the 2019 Toyota Camry. The All-New Altima features an available Intelligent All-Wheel Drive system that gives you all-weather confidence along with Best-in-Class Combined All-wheel Drive Fuel Economy. Nissan Intelligent Mobility empowers you with available ProPILOT Assist, available Safety Shield 360° features, smartphone connectivity, and more for a confident, connected, and exciting ride. The world’s first available Variable Compression Turbo engine features shapeshifting pistons for instant turbo power and fuel efficiency – without compromise. Enjoy available technology so intuitive, it feels tailor-made for you. With features that activate before you even get in. Or instant connectivity with your compatible device and wider world. 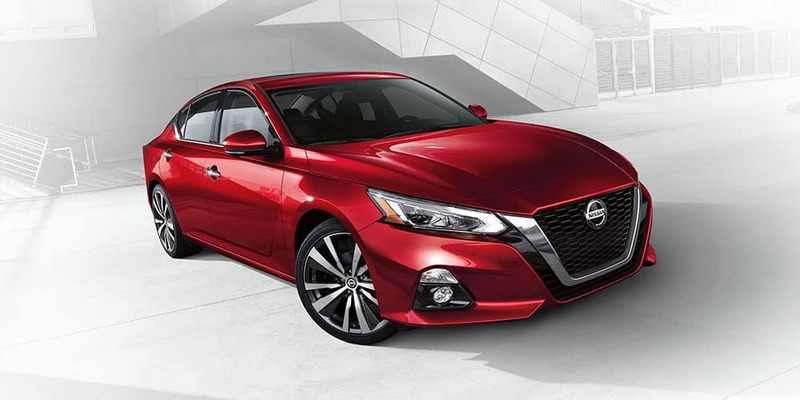 So you’ve read all about the features, safety, power, and style of the 2019 Nissan Altima. The time to get back on the road is now. Shop our 2019 Nissan Altima Inventory now! For more information on the 2019 Nissan Altima visit NissanUSA.com.